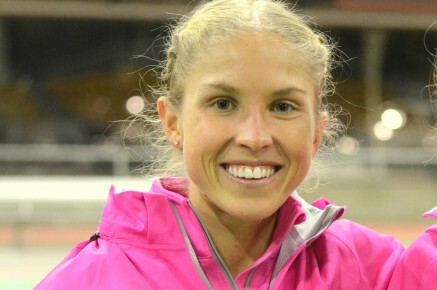 13th October 2014 – Jordan Hasay (USA) won her first major road race as a professional athlete with an excellent victory in the Tuft’s Health Plan 10k in Boston. The Alberto Salazar coached athlete stayed with the leading pack throughout the race before unleashing the winning kick in the last kilometer. Hasay crossed the line in a personal best 31:38.3, two seconds ahead of Kenyan Caroline Rotich with another Kenyan Risper Gesabwa 3rd. Jordan’s win was the first by an American since 2011 and just one second outside Molly Huddle’s American Record for an all-women’s race.